Our product range includes a wide range of rg-59 copper coaxial cable, rg-6 ccs coaxial cable, rg-6 copper coaxial cable, rg-11 ccs coaxial cable and rg-11 copper coaxial cable. 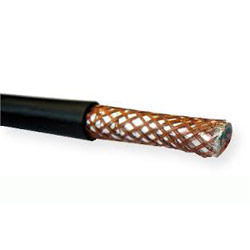 We are an influencing firm engaged in offering RG-59 Copper Coaxial Cable. These cables are the requirment of the industry for the innovated products. Therefore, we analyse all prevailing trends in the market on a regular basis to create the demanded products. Our clients can find these cables at economical prices within the standard time period. We comply with all the industrial norms and policies to do business ethically and optimum management. RG-6 is a specific type of coaxial cable, often used for low-power video and RF signal connections. The cable has a characteristic impedance of 75 ohms. The 75 ohm impedance matches a dipole antenna in free space. We have ready stock of Rg-6 co-axial in Copper & CCS both will available with KK Kabel. RG-6 Copper is a specific type of coaxial cable, often used for low-power video and RF signal connections. The cable has a characteristic impedance of 75 ohms. The 75 ohm impedance matches a dipole antenna in free space. 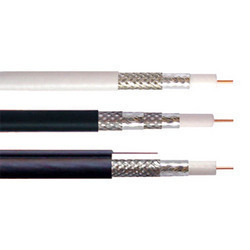 RG-11 is a specific type of coaxial cable, often used for low-power video and RF signal connections. The cable has a characteristic impedance of 75 ohms. The 75 ohm impedance matches a dipole antenna in free space. We have ready stock of Rg-11 co-axial in Copper & CCS both will available with KK Kabel.